The GPS car tracker is a hard-wired unit that has the perk of drawing power from the car battery and it is tucked away behind the dash. However, in some cases a more flexible car tracking solution is necessary where it is complicated to get a hard-wired GPS car tracker device put in place because of drawing attention to the user or users of the cars in question or where more than just one car needs to be tracked accurately at different times. This is where UK Car Tracker comes into action. A covert GPS car tracker used to be the preserve of security services and Police services. Over the years, these tracking devices have been composed of a radio transmitter that was placed beneath the cars and by using a radio frequency receiver manufactured for the purpose, it could only be tracked within a few miles. The technology was too weak, when the GPS car tracker came about, so in order to allow a device to be installed under a car, the antenna required a line of sight so that it can update its current location. Due to the GPS advances made from 2006 onwards, a GPS car tracker device could be mounted on the underside of a car for the first time. The 2006 GPS vehicle trackers were unsophisticated and bulky with very short battery life due to the very high power draw. In comparison to the 2006 GPS vehicles trackers, the latest generation of trackers are miles away. Nowadays, the GPS vehicle trackers are designed to live up to the expectations of the discerning buyer. They are compact and packed with the latest power saving technology. 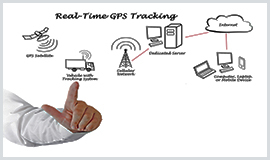 GPS vehicle trackers are usually purchased from UK Car Tracker for use in tracking company employees who are committing criminal offences either using the company vehicles or against the company or who are not working diligently. In addition, all our GPS vehicle tracking devices are used for domestic purposes to solve relationship troubles using discretion. Whatever the need for a car or vehicle tracker, the latest tracking devices offered by UK Car Tracker are certain to provide the perfect solution.